Have lots of savings goals and not sure how to prioritize them, or even how to find money for them? Let me show you how to actually get where you want to go. Savings goals can be really exciting. At the same time, they can be annoying as heck — especially if you don't know a) which ones to prioritize reaching first and b) how to actually save enough money up to get the thing/experience that you want. 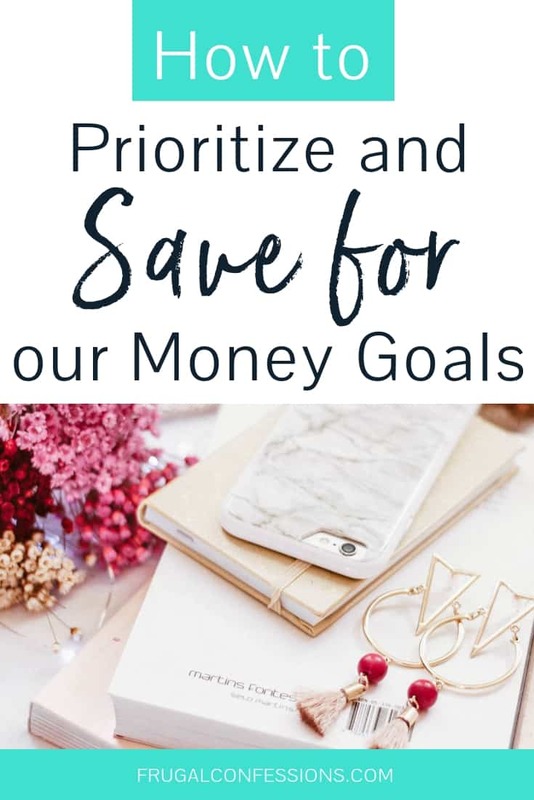 I'm going to show you — from decades of experience — how to prioritize your savings goals so that you can focus on the most important one first, and then how to actually save up enough money to achieve it. How Do I Save Money to a Goal? How Much Money Should You Have Saved in an Emergency Fund? When you shop, do voices play a soccer match inside your head? Figuring out which savings goals to prioritize can be a bit confusing. Especially since you are sure to have multiple needs and wants at any given time. For example, how are you supposed to decide between saving for new tires versus saving to travel to your friend's wedding? What makes you certain that saving for retirement takes priority over saving for a new washing machine? Let's bring some clarity on which goals you should be saving for in which order so that you don't find yourself pouncing around Italy (hurrah!) without the means to buy a return ticket home (doh!). Your Oh Sh*t Fund (it's sole purpose is to make sure you don't have to say that word), and your Retirement Fund. Yes, I know you may be paying off your student loans, or living paycheck to paycheck, or experiencing any number of perplexing money situations. But if you are struggling financially at this moment in time…then how do you think you will fare when an emergency hits? Or how do you think your life will look like once you stop working altogether when you're ready to retire? Next, you'll want to create a list filled to the brim with what you want to be doing in the next five years and beyond. Like going on that trip to Italy, taking your kids to visit cross-country relatives, enjoying a yoga retreat, making a down payment on a new home, etc. Then, you want to take yourself on a walkabout in your current home + life to figure out what items are old and will likely need to be replaced/repaired in the near future. (By the way: this is an extremely useful exercise. I took myself on a walkabout and wrote about it in 2009, and everything on my list has needed to be replaced/repaired since then). For each item on your list, mark down how long you have to save for it. These could be loosey-goosey time frames that you make up as you go (say, “I want to go on that trip in one year before I turn 30”), or they could be more like IRS deadlines with little leeway for things you don't have control over. Now, separate your list into needs and wants, from soon to distant future. And be honest. You may think you need something, but in reality, it could be a want…and vice versa. Remember, this order is after you save money each month towards the Oh Sh*t Fund and Retirement (the amount you should be saving is another article entirely). First: Save for needs that have an IRS-hard deadline of between now and the next year. Second: Pay attention to those needs that are further out than one year from now, and figure out which you need to start saving for today by determining how much you need to save. 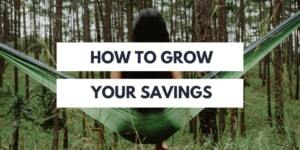 Depending on the amount you need to save for those needs, you might have to choose to start saving for them before funneling money towards something you want in the next year. Third: Start to stash away cash towards a savings goal you want to achieve within the next year. Fourth: With any money left over, you can start to save for your wants/needs you'd like to achieve beyond a year from now. What are your various savings goals (needs + wants)? Using this method, which are you going to prioritze saving for first? What comes next? Let me share with you some common savings goals examples, so that you can pick and choose (or just get inspired) for yourself! Any of those ideas get you excited, and your brain working? 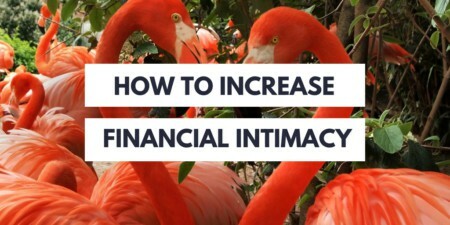 Let's circle back to the emergency fund, because it's so critical to your financial health and financial independence. This topic is so important, that I wrote an entire post about how building your emergency savings fund isn't as annoying as you think. So, how much should you have saved in your own emergency fund? There is no secret to saving money: earn money, spend less than what you earn, then deposit the savings. Yet so many people fumble along the way, evident by our national personal savings rate of 5.5%. 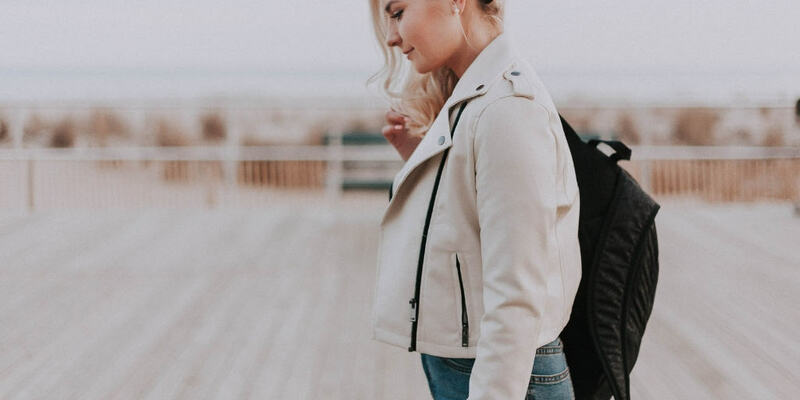 Perhaps your cost of living is too high, you don’t make enough income for the lifestyle you lead, large expenses creep up for which you are not prepared for or are underinsured for, you have crippling student loan debt, etc. All of these obstacles and distractions exist to keep your money out of your bank account, and to keep you in the same financial situation for life. I’d like you break out of that financial situation, wherever you may be. Increasing your personal saving rate is not all about “do this, do that, stop spending here”; it’s really about changing your mindset as well. This series will focus on both: changing your thought process towards money, working, and your paycheck, as well as discuss tips and ideas on how to own more of your paycheck. 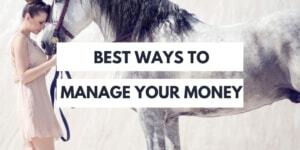 These are foolproof methods; however, not a single one of these will work if the money does not physically make it from your paycheck to your savings account…and stay there. This means that for you to increase your savings, you need to be an active participant. All three components to the saving equation are verbs that require action from you: you need to earn money, you need to spend money wisely, and you need to deposit the savings. It’s all up to you. When I was a senior in high school, I set a goal: to find a senior prom dress that would make me look like Julia Roberts in Pretty Woman (you know, mid-end of movie, after some of her employment drama was sorted out?). It had to be sateen, deep red or magenta, and of course I was not going to step foot in my date's car without the white, elbow-length gloves. Result: Sure enough, 8 months after setting this goal, I emptied my coin jar into the local Coinstar® machine and took the $75.40 to buy a beautiful, magenta-colored gown complete with gorgeous gloves. Four years ago when we were heavily focused on paying down our debt, paying cash for our wedding, and putting a down payment on our home, I set a goal to pay for our honeymoon to Austria ($2,500) with money I found outside of our paychecks. Result: Just six months later, with an awesome extra (non-paycheck) $2334.78 sitting in an account, we booked our trip to Austria. How did I/we manage to reach these financial goals? I'll give you a hint: it's not because we were raking in the dough (my job at the time of buying that senior prom gown was mucking horse stalls for our neighbor, and Paul and I were at the beginning of our careers). I wrote the goals down. I can give you lots of other examples of goals I've managed to achieve – financial and otherwise – over the course of my life. But instead, I'd like to give you a statistic that is going to change your life. Psychology professor Dr. Gail Matthews did a study on goal-setting. She found that you are 33% more likely to achieve your goals by writing them down + sharing them with others (accountability). Talk about money life hacks you can live with! Couldn't get simpler than that. Just like Mt. Everest's peak can be reached from two different sides − Nepal or Tibet − the summit to huge savings can be reached from two sides as well. It sounds really simple − even repetitive. But where the money tends to get lost is in the translation from concept to the bank. None of these efforts matter until you actually move the excess money over to a savings account and not touch it (unless your goal all along was to use it for something in particular). For people who do save, their tendency is to focus on just one of these. You either out-earn your spending (not focusing on frugality, but having a seriously nice income where as long as you don't go Lady Gaga-crazy over things then you know you'll have enough in checking to cover), or you use frugality to suppress your spending on an average income, saving the little bit that's been sacrificed. Let's face it though: with a national personal savings rate hovering around 5.6% (that includes retirement savings), we know that most people don't incorporate even one of these sides of the equation. But you're different. Or perhaps you want to be different. You want to acquire savings in the most rapid way possible. It turns out, my husband and I are different as well. We looooovvvvveeee to save money. That's why this past year and a half has been kind of a bummer (savings-wise, not life-wise) for us. Following my husband and mine's own journey with money, over the last two years we've experienced five months of unemployment, followed by 19 months of making less than half of what our household used to bring in (i.e. underemployed). It's been tight. Not undoable, but tight. By incorporating the “spend less than you earn” side of savings, on less than half of our previous income we were able to pay all of our bills on-time and even managed to save up $5,000 for expenses associated with the birth of our son (turns out, our hospital bills were much higher! So thank goodness we saved what we could). Cloth Diapered: I've got a post about our cloth diaper experience with this coming up. Fought a Medical Bill: We got mixed results (read about it in the post), but I certainly know how to do this now. Cut Our Cell Phone Bill in Half: It's so easy − especially with saved contacts, photos, and already knowing the interface − to just stay with your current cell phone plan. But I'm glad I didn't, as I'm literally pay half of what I used to for the last year! Slashed Our Personal “Mad Money” Each Week in Half: This was an easy fix to a subpar income, though sometimes it's a bit tight since we also take turns purchasing things like kitty litter, oil changes (when I'm not mystery shopping them), and haircuts off of our budgets. Repaired Instead of Bought New: When Paul's beloved Timberland boots he purchased almost a decade ago started flapping at him, we were going to just buy a new pair (even though the rest of the boots were still in excellent condition). That is, until I found out a new pair was going to set us back $139. Instead, I took this pair to a local shoe hospital. For just $16 they were fixed! They're still going strong over 5 months later. Travel Hacked Our Way to My Brother's Wedding: We wanted to make my brother's wedding, but cringed at the thought of paying $500 for our tickets. Instead I opened a new credit card, met the spending limits, and used the bonus offer of free airline tickets on Southwest Airlines to pay just the security fees. Turned to Cash-Only Spending: We used to run all our spending through credit cards to reap rewards points. But when our income was drastically slashed, I knew we had to pay better attention to what was leaving the account. So we went to an all-cash diet (except for automatic withdrawals for bills). Then we used our credit cards only for bills that were unavoidable to reap the reward points with making sure we were doing no extra spending. It's worked well. And while we were able to save up for the birth of our son, we were not able to put anything into long-term savings. Here's the sweet spot where savings magic occurs: suppressing costs AND simultaneously increasing your income. Tweet this. Seriously, magical things start to happen. Okay, perhaps unicorns don't pop out of your account statements, but money sure does pile up a lot faster. And we're in the perfect position to make this happen, as my husband landed himself a sparkling new job in December complete with higher pay, a matching 401(k), and that uses half the amount of gas it took him to get to his other job. Score! So while we may not keep our personal spending budgets slashed at half forever, continuing with our frugality for at least half of the next year will enable us to turbo boost our savings and play a little “catch-up” from when our income was suppressed. Treading water this year in the savings department has at times felt discouraging. I'm a true saver at heart − the way some people collect shoes, I collect dollars. So I'm looking forward to playing a little catch-up and reaching our money climax with both an increased income as well as continuing to suppress our spending and expenditures. Which means I'll continue to follow my own advice throughout this article — yes, I practice what I preach on this site! Right now, the main thing we are saving for is the down payment for our next home. We have a few years though before we plan on buying, but we want to save as much as we can! Exciting, Michelle! And I love how you are giving yourself a realistic time frame to save for something like a down payment. Good luck to you. Great article, because no matter how carefully I manage our household money, I always feel pulled in a million directions with so many costly things on the horizon. It often feels like we have more goals than income! We have a decent Oh Sh*t fund in place, but I’d like it to be bigger, so we put into that still in dribs and drabs. Retirement is a must, and comes first on our list. We have maxed out both of our Roths the last few years and will continue to do so. The next thing on the list is saving up for our next car, with a deadline of two more years from this month. Our plan is to buy a good two or three year old car and drive it for 6 years. One or the other of us gets a new car every 3 years as we rotate, so we know the proposed deadline and have an idea of the cost already. In the last 12 months, we hit our savings goal for the year there. Household ‘fix up’ (includes appliances) and medical/dental come next. With one in orthodontia (we paid in full for his treatment, up front, because we knew it was coming), and one who will probably need the same in a few years, we’re rebuilding this one bit by bit. Last comes the vacation fund. It feels sadly underfunded this year. But it’s a want, while the others are needs, so last it falls. College savings come form whatever I make from a passive income I have each month, to the tune of a few hundred dollars total each month. Whatever comes in for that, out it goes to college automatically, so that’s on autopilot. Thanks, Kay! It sounds like you’ve got your priorities straight and you guys are doing wonderfully with your savings goals. I like how you are using your passive income to fund college (automated), and are taking care of retirement before college savings (as they say, you can borrow for college but you can’t borrow for retirement). Keep going–and I’ll cross my fingers that some money comes into your vacation fund soon:). The beautiful thing about not having a lot of money is how it forces you to prioritize your spending. Need the fancy new toy? Or need to save for the kid’s braces? No brainer. As long as you know what your priorities are, and you know yourself and your life goals well enough to have smart priorities, the rest will fall into place. Knowing thyself? Well, there’s the problem…. The biggest thing is balancing wants versus needs. We wanted a few things around the house but then a tree died in the backyard that hangs right over our deck, so the want got put on the backburner and the need zoomed to the top of the list. Priorities are important, but it’s also important to know when to change them in terms of making your decision. I like your approach of listing absolutely everything out, so that it can be prioritized properly, instead of a haphazard approach. Really good article there. The way you organise your list is a good model for those who want to make sure they have their priorities straight. Creating a plan is a must if one wants to succeed in their finances. And not just any plan, but one with goals and timelines.